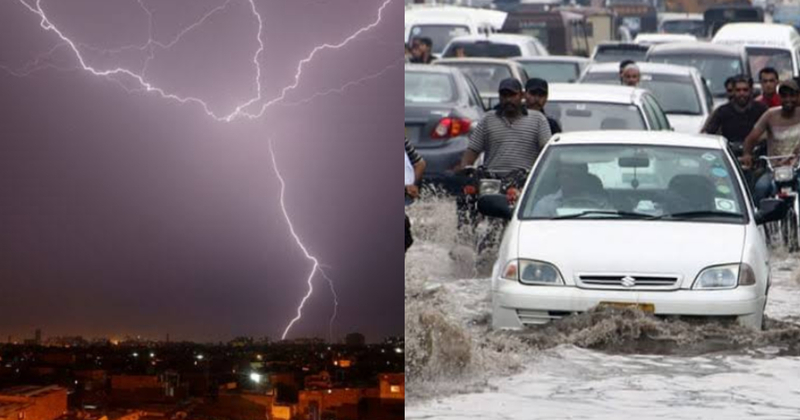 These Pictures After The Karachi Rain Will Make You Say OMG! That's Enough Rainfall For A Year! Karachi rain is like a blessing and although it brings the gift of jammed roads, electricity shut down and maybe a fortune for all the private cabs – rain still just really makes us happy! Some of you might be home sipping on a cup of chaai and watching some Netflix but others like the Parhlo team is at work crying deep down. Anyway, enough tearing up, we just wanted to take a moment and show you all the reaction of people on this rain that just happened earlier this morning. It’s quite entertaining you know but scary as well! The sound of thunder freaked many out whereas, many seemed to have enjoyed the sound and well, the heavy rainfall! Ghalti say aaj karachi may barish ho gae and these over obsessed karachites have made a trend even #karachirain like wtf..??? This cracked us up good! How many of you are in your hoodies? This keeps on getting better! So, let us know how are you enjoying the rain! At work or with some chaai, samosa and pakoras! Because we are really craving for some jalebi!